Pay as services are rendered. We offer a discount for prepayment of services. We accept all major credit cards including MasterCard, Visa, American Express, and Discover. We accept these cards to allow you the most convenience in taking care of your account. As a service to our patients, Cassis Dental Center offers electronic claims processing. In most cases we can give you an estimated patient balance which is due when services are rendered. We cannot guarantee insurance coverage's as they maybe highly variable. We have made arrangements with the nation's leading patient payment plan CareCredit to carry your dental work with approved credit for up to one year, interest free. This allows you to complete your dental work without delay and make relatively small monthly payments. CareCredit has several payment plans to meet every financing need, a no-interest option or a low-interest options, each with low, monthly payments and no upfront cost. CareCredit can be used by the entire family for ongoing treatment without having to reapply. CareCredit offers a comprehensive range of plan options, for treatment or procedure fees from $1 to over $25,000, and it only takes a few minutes to apply and you receive a decision within 30 seconds. To learn more about CareCredit, call 1-800-839-9078, or visit their website at www.CareCredit.com. To Apply Click on the "CareCredit Apply Now" button above, then click the apply now button to the right of the doctors name. Are you a patient of our practice without dental insurance? 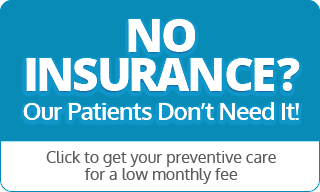 Then join Cassis Care Membership Club, make low monthly payments for your preventive care, and save money today! We value your loyalty. For our patients without insurance, we’ve launched Cassis Care Membership Club to simplify payments for preventative care. Our loyal members also save money on treatment.